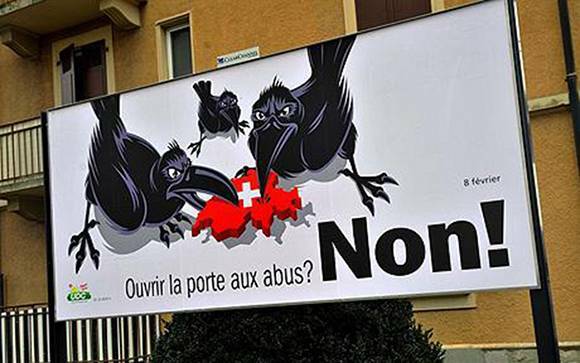 The right-wing Swiss People’s Party (SVP) has been behind several anti-immigration posters. Such as these graphics in 2007 ahead of a general election in Switzerland, in which they secured the most ever votes for any party in such a poll. In April this year a court found SVP leader Martin Baltisser and his deputy Silvia Bär guilty of racial discrimination for this poster, which reads: “These are the consequences of uncontrolled mass immigration: Kosovars are cutting the Swiss apart”. 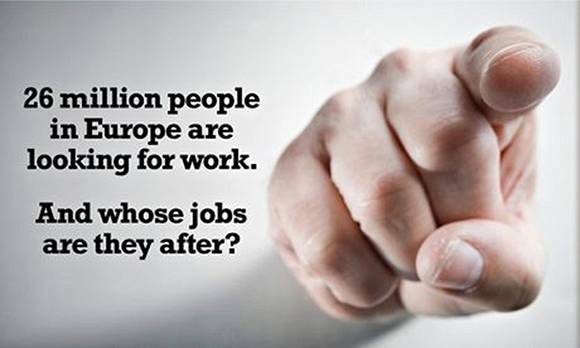 Hungary has this week been gripped by a controversy over anti-immigration posters. 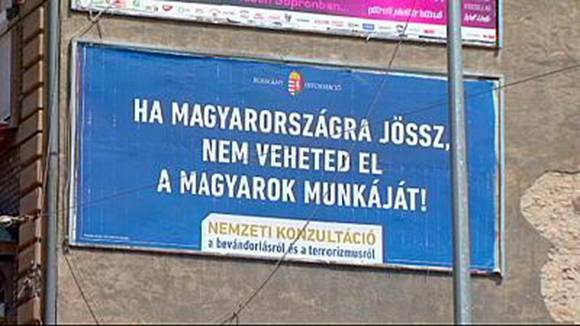 The state-funded posters, which popped up in Budapest, featured the slogan: “If you come to Hungary, you cannot take away Hungarians’ jobs”. The campaign is part of a strategy by Prime Minister Viktor Orban, in response to a rise in asylum seekers in the country. Hungary had the second-highest number of asylum requests in 2014, second only to Sweden. Opposition party members were arrested – before being later released – for allegedly defacing the billboards. There have also been parodies of the posters, distributed on Twitter, including this one, which reads “Feel free to come to Hungary, we’re already in London working”. This poster came from the youth wing of France’s far-right party National Front in 2010, ahead of regional elections. It opens up a painful – and some would say still sore – chapter of France’s history, when Algeria was one of its colonies. Algeria won independence from France in 1962, after an eight-year war. Tensions have remained between the French and Algerians who have moved to live and work in the “Hexagon”. 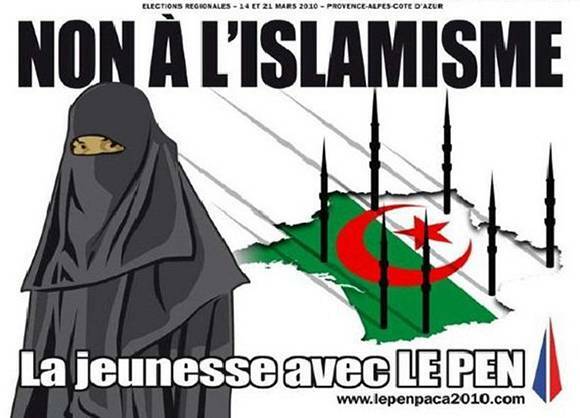 The poster has the slogan “No to Islamism” and shows a map of France, draped in the Algerian flag, with minarets poking through. Le Pen’s party came third in the 2010 regional election, with nine percent of the vote. 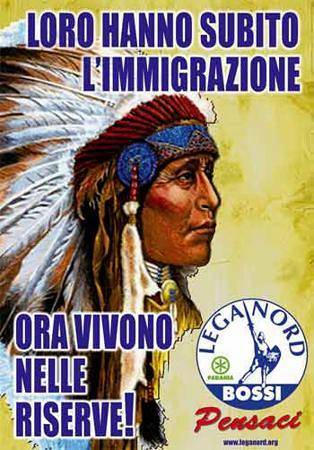 Italy’s far-right political party Northern League – whose leader earlier this year said Mediterranean migrants should be left on the boats they arrive on – courted controversy with this poster back in 2008. Plastered across Milan, it shows a picture of a Native American, wearing the traditional feathered headgear. Italy has come under the spotlight in recent months for being the principal arrival point from migrants fleeing North Africa. But the country is also the place offering hope to Eastern Europeans, including Albanians and Romanians. 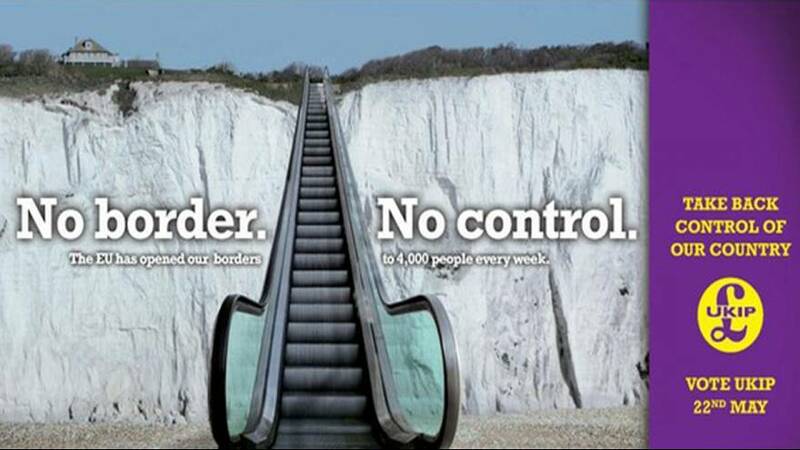 Britain’s anti-immigration party UKIP produced these posters in the run-up to the European elections in 2014. They follow a common thread in terms of the narrative from other far-right parties: that immigrants are coming to take your jobs. 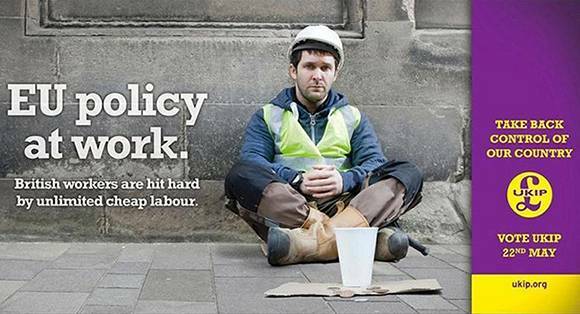 UKIP attracted criticism for suggesting that all of the EU’s unemployed – at that time 26 million – were coming to Britain to compete for jobs there.